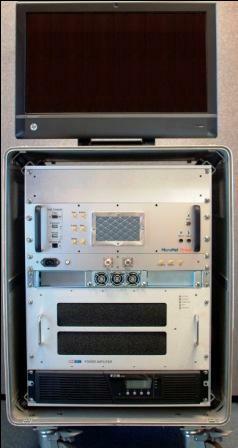 MicroMet Radar Wind Profilers (RWPs) are designed around original and innovative modern antenna, receiver and signal processing techniques. These new systems have been carefully developed for ease-of-use, low maintenance and for long-term unattended operations. MicroMet’s RWP designs can be scaled for high altitude, mid-altitude, or boundary-layer coverage through the choice of frequencies, antenna sizes and transmitted power. All MicroMet Radar Wind Profilers are complete rugged acquisition systems and come standard with full hardware monitoring and advanced signal processing. The systems are composed of an patch antenna array, a final transmitter, a transmit/receive switch, a state-of-art digital receiver, a full-featured data system with many data displays, a hardware monitor, power supplies, and remote displays and controls. Many other options are available such as temperature profiling (RASS), trailer mounting, and shipboard use with motion compensation. MicroMet RWPs are designed and built for extreme reliability and maintainability in the field. All systems can be customized for specific customer needs. 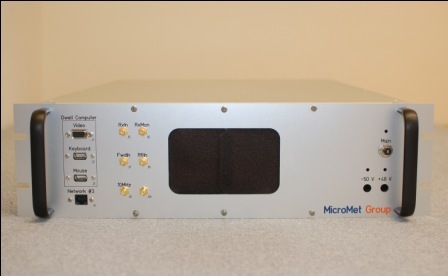 MicroMet can also upgrade your older 915 or 404 MHz systems, with a new data system, hardware monitor, antennas or even high reliability solid-state phase-shifters. Bring your system into the 21st Century. Talk to a MicroMet representative for more information.